Everyone loves this unit! Have you found any person who is complaining about their water softener? You won’t find anyone. This is because water softeners are that good! And they help with making the water soft and removes all the hard minerals. And why not people like it, water softener indeed helps with saving your money by maintaining all the household appliances. Cleaning will get easy since there will be no white patches on the utensils. Softeners are unsung heroes who work rigorously for the maintenance of all the household devices. Amidst all the claps, you may miss out some of the important facts about Softener machines. Let’s check them out! With the high amount of hard minerals in water, white patches will be visible on shower heads, taps, kettles, sink area, etc. Softeners help in reducing these scale buildups found on different surfaces. So reducing buildups is one of the main benefits of a water softener. Because of the reduced buildups, the machines run with high efficiency and thus ending up with less maintenance of water softener too. Therefore, Water Softeners extends the Life-Span of the home appliances. Softened water is found to be good for the healthy skin. It is said that softened water is good skin moisturizer, and it is also great for maintaining a good hair strength. All these have been possible with the elimination of hard minerals. Even the clothes and towels washed in the treated water will feel soft, and look better than before. During the washing, the softened water will create more lather with less detergent, and this scenario is entirely different with the hard water. A good amount of money is saved from this, as you require less amount of soap or detergent. Plumbing modifications may turn a bit tough in case of whole house softening setup, especially if you want to leave one faucet with unsoftened water. You may find some parts of water wasted in the process of water softening. Another known fact is that softened water is salty and full of salinity. For those who are on low-sodium or no-sodium diet must not consume this softened water. Though, softened water is not much recommended for consumption. It is suggested to spare one tap with unsoftened water, as not all the people won’t like the taste of the softened water. Softeners do require maintenance, and it depends on the brand and the model that you are using. 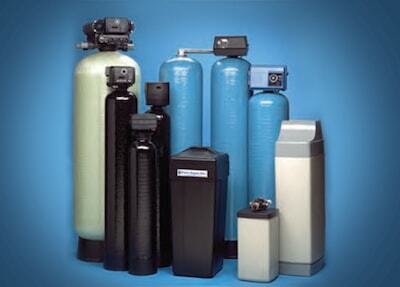 In the end, you could save a lot of bucks with the installation of the water softener. The investment may seem a bit costly, but in the long run, you will save a lot of money! Try it out for yourself. One Purchasing Tip: Go for a water softener only if you have got hard water in your area. Otherwise, installing a softener will do no good for you! So, these were the facts which we wanted to share with you guys. Hope you all liked our article, and let us know your review about this in the comment section provided. For more articles, visit our page Water Peek.